At your Zender Ford car dealer, in Spruce Grove, we are here to give you the best advice for the season. And yes, winter is already here! Winter is just like that faithful friend that we know is going to be around for a long long time, never leaving us. In short winter, is our good friend! But is your vehicle ready for the winter? If not, it’s about time to winterize it. Seeing the roads clearly is really important during the winter. So in order to ensure that you have a good visibility, it will be crucial to change your wiper blades and fluid. During the winter you do not want to be driving around with build up from winter precipitation or salt on your windshield. So, refill your wiper fluid and make sure it has a lower freezing temperature. Wiper blades are generally only good for one year, so it is important to change them often. You can also get ones that are specifically made for the winter for more resistance and durability. Another winter driving imperative is winter tires! The importance of having winter tires cannot be stressed enough because even though they cannot prevent you from having a collision, they will decrease your chances of having an accident. 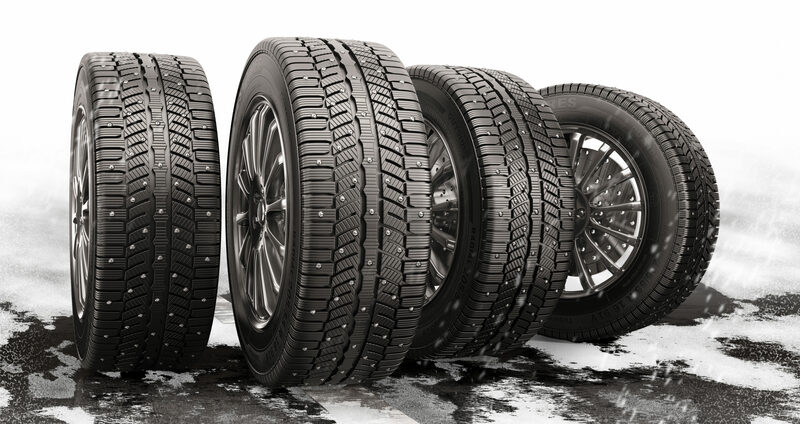 Winter tires provide more traction by giving your vehicle more grip on the road. This is mainly due to the fact that winter tires are more flexible even at very low temperatures compared to all-weather or summer tires. They are also designed with tread that helps grip into snow and ice. Contact our service department for your winter vehicle needs. The oil in your vehicle keeps your engine going! So, in order to ensure that your vehicle runs well in the winter, you will need to change your oil! It is as simple as that! Your vehicle needs lubrication to work properly. Change your vehicle oil, especially when it is thick because that will prevent it to circulate well through the engine. So you can get thinner oil to make sure your engine does not stop while you are driving. Just take your vehicle to your dealer and they will take care of that for you. Come to our Zender Ford dealership in Spruce Grove for all your Ford’s needs. It is freezing outside during the winter and you do not want to get stranded outside. Therefore, it is a good idea to have emergency supplies in the case of a breakdown. Here is a list of emergency supplies you should always have with you in your vehicle: charged cell phone, mobile battery pack, salt, jumper cables, flashlight, blankets, reflective triangle, ice scraper, first aid kit, shovel, life hammer. Trust me, these items will come in handy someday! They could help save your life or those of people you care about, so don’t take them for granted! We hope these tips help you prep your vehicle for the winter. But are you ready for winter driving? Even though your vehicle is prepped for winter driving, you have to make sure you drive extra-carefully and pay attention especially when braking and turning corners. Make sure you also give yourself enough time to get to your destination. Also, check out our quick lane services to get your vehicle ready to winterize your vehicle.